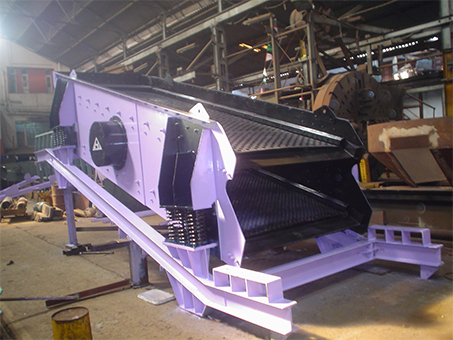 We Deal with the toughest SISCO vibrating Feeder& Screens with unbalance drives are economical dependent & pollution free conveying equipment for all bulk material. They are used for a wide range of material such as � Granite, Iron Ore, Limestone, Dolomite, coal, Copper & Zinc Ore, Coke, Bauxite etc. High output & dependability against low capital & operating cost. High centrifugal force in relation to the dead weight. Twin unbalanced Heavy duty motors for trouble free operation. Wide range application & various combination of sizes & decks for screening. Heavy duty coil spring absorb all impact load. Stepped deck does effective separation in the Grizzly feeder. Feeder can be suspended or floor mounted. Each feeder and screens are driven by two nos. heavy duty counter rotating unbalance motors which are firmly fitted to the feeder or screen trough. They operate with linear oscillations. The amplitude can be altered, when the machine is not in operation, by displacement or by removing/adding counter weights.